Wells Fargo Announces More Layoffs – Perfect Whistleblower Opportunity? Wells Fargo, America’s embattled 4th largest bank, announced that it is “releasing” 638 mortgage workers. Most of the people being let go are mortgage loan servicers and fulfillment professionals. The layoffs are part of a much larger reduction in force. Wells Fargo is under an asset cap levied by the Federal Reserve. The highly unusual sanction came after repeated fines failed to properly get the attention of the rogue banking giant. As we have often said on these pages, America’s “Too Big to Fail” banks view fines as a cost of doing business. Rip off taxpayers and customers for as long as you can and when finally caught, pay a fine, say I am sorry and think of a new scheme. In January of this year the Federal Reserve drastically upped the ante. Outgoing Fed chair Janet Yellen imposed a rare sanction against a bank, she capped the bank’s asset base for 2 years. While the economy is booming and other banks are growing, the Fed gave Wells Fargo a time out. And how do you cut costs? Fire your workforce, of course. We have no love for Wells Fargo or most other big banks. The way to fix them, however, is to cut off the head of the bank, the diseased senior managers and directors who reward bad behavior. Admittedly in light of the recent scandal involving opening unauthorized accounts, and then charging unsuspecting customers fees for those accounts, the board booted then CEO John Stumpf. He also had to disgorge part of his ridiculous golden parachute and bonus money. Now that the spotlight is off the bank, however, Wells Fargo is back to doing what it does best. Punishing rank and file workers. The bank rightfully claims that mortgage revenues are down. That is true, many members of the public stopped banking at Wells Fargo since they simply could no longer trust the bank. Instead of cutting profits, bloated management salaries or giving less to shareholders, however, the bank decided to “release” rank and file bank workers. This time mortgage servicers and mortgage fulfillment specialists. In an official statement, a bank spokesperson said 638 Wells Fargo mortgage workers will be let go. These folks are primarily employed in Orlando, Florida; Ranch Cordova, California; Colorado Springs, Colorado, and Charlotte, North Carolina. We sincerely hope the stigma working for Wells Fargo doesn’t hurt any of the 638 mortgage workers suddenly out on the street. In a bit of additional cruelty, the layoffs will come just before Thanksgiving. We suspect that current CEO Timothy Sloan will be enjoying his turkey dinner (and $17.4 million salary) while hundreds of his former employees are struggling to feed their families. Obviously we are angry at the latest actions by the bank. But anger doesn’t solve anything. So, what can be done? Plenty! First, let’s recap the scandals in just the last two years. In September of 2016, the fake account scandal exploded. Millions of fake accounts foisted on unsuspecting customers. Often with fees. The late charges and new balances caused many folks to suffer negative credit ratings, something that can hurt them for years. Bad credit scores are also something beyond Wells Fargo’s direct ability to fix. The bank paid a $185 million fine, settled countless lawsuits and 5,300 workers were fired. Included in that aftermath was CEO John Stumpf’s sudden retirement. In addition to losing his bonus, he also had to forfeit $41 million in stock awards. That same month Wells Fargo admits that it illegally repossessed cars. It was caught taking cars without a court order. Cars of our soldiers who were actively deployed and defending our country. The bank wrote a $24 million check and had to pay for a bunch of cars to replace the ones illegally seized. In April, as the SEC now investigated the fake account scandal and as political pressure mounted, Stumpf agrees to give back another $28 million. The board also admits that it had warnings about the fake accounts as early as 2004. In June a class action lawsuit dropped another bombshell. Wells Fargo was accused of modifying mortgages without permission of the borrowers. That meant some customers were paying more than they should. The bank strongly denied the allegations and called them scandalous. In fact, the bank was so sorry that it said it agreed to pay $80,000,000 to those affected. That sounds like a lot of money until you figure that between 570,000 and 800,000 people were affected. That works out to between $100 and $140 per victim. If you had your car repossessed, the bank offered an average of just $800. Two weeks later, the bank was sued for overcharging small businesses for credit card transactions. Just when things couldn’t get any worse for the bank, they did. An estimated 1.4 million phony accounts surfaced in September. In October of last year, the bank admitted it wrongfully assessed 110,000 mortgage borrowers for missing deadlines they didn’t actually miss! Those charges came to light because of four Wells Fargo whistleblowers. In typical corporate double speak, the bank admitted that its mortgage policies were “at times not consistently applied” and that it was “primarily responsible” for the penalties. The bank promised to pay refunds (did it have a choice?) as part of its efforts to “rebuild trust” with customers. In October, it was also the brokerage arm of Wells Fargo that was in trouble. This time for selling customers’ investments that were “highly likely to lose value.” The bank didn’t apologize this time, in fact it was allowed to simply pay more money without any admission of wrongdoing. Apparently as long as you don’t create fake accounts you can alter customer account records. So why are we seeking Wells Fargo whistleblowers? The answer should be obvious! We think that there are plenty more skeletons in the bank’s closet. And unfortunately, since the bank isn’t allowed to grow, it will likely seek new revenue streams by engaging in questionable conduct and by cutting more workers. They will then likely push their fewer number of employees to work longer hours. Under the federal False Claims Act, whistleblowers who report fraud involving government funds – here that would be residential mortgages – to cash rewards of between 15% and 30% of whatever fines are levied. In Wells Fargo case, that probably means huge fines (and therefore huge awards). 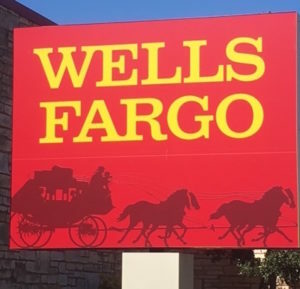 Wells Fargo whistleblowers who report bank misconduct – and there is no shortage of that at the bank – can earn a $1.6 million award for their information through the FIRREA program. And the SEC whistleblower reward program covers a wide variety of banking misconduct. Like the False Claims Act program, there are no caps on awards from the SEC. Are these rewards real? Yes! Our bank whistleblowers have already received over 100 million dollars in award monies. Whether or not you still have your job or were laid off, we are hoping that more Wells Fargo whistleblowers will step forward. Front line employees and middle managers are in the best position to rein in the bank. Regulators can’t act without your information. Becoming a whistleblower is the right thing to do and may put a huge check in your purse. As Wells Fargo has already learned (the hard way), retaliating against whistleblowers doesn’t work either. And that carries even more damages and legal fees too. If you have inside information about illegal behavior and are interested in joining the ranks of other successful Wells Fargo whistleblowers, give us a call. We will help you evaluate your information so that you can make an informed decision. All inquiries are completely confidential and protected by the attorney – client privilege. There is never any obligation and you don’t pay for our services unless we recover money for you. In the last 5 years we have helped bank whistleblowers recover over $100 million in rewards. You could be next. or by phone 414-704-6731. Not ready to call? We have plenty of information about the False Claims Act, SEC and FIRREA bank whistleblower programs online. Wells Fargo and other big banks have a history of not properly paying their workers. Mortgage originators, front line managers and private bankers are particularly at risk. Many claims have already been pursued against Wells Fargo but that doesn’t mean there isn’t another group of employees not being properly paid overtime. The federal Fair Labor Standards Act says most workers are entitled to be paid time and one half for any hours over 40 worked in a seven day period. Some banks will wrongfully tell workers they are exempt from overtime because they are “managers” / commissioned sales staff / professionals / salaried or “exempt.” There are exemptions, of course, but frequently they don’t apply. Simply because your boss or HR says you don’t qualify for overtime doesn’t mean it is true. We also see cases where bankers who take calls after hours or who must stay late to finish paperwork don’t get properly compensated. Is that you? Let one of our employment lawyers or network help you determine whether you qualify for overtime pay. Worried about the cost? Don’t. The Fair Labor Standards Act requires the employer to pay double damages and attorneys’ fees. Why should Wells Fargo whistleblowers or bankers contact us? Great question. First, we don’t represent banks. We represent individual bankers who wish to blow the whistle on corporate greed and corruption or who believe they have been underpaid. Second, we have brought our bank whistleblower clients over $100 million in rewards. We are also part of the recent $97 million Wells Fargo wage theft case. Third, these cases are what we live for. There is nothing wrong with a lawyer making money or a whistleblower receiving an award. What makes us effective, however, is our drive and team. A team that includes the former enforcement chief from the Office of the Comptroller of the Currency, SEC investigations chief, FDIC enforcement chief, state revenue commissioner and career prosecutors. We come together as one team to fight corruption and to protect bankers who bravely speak up. We would love to help you. The fine print: When you call us, never use a work email, work computer or contact while at work. And remember, most award programs only pay the first to file. If you are thinking about filing for a reward, don’t wait too long.